Figures Archives - Home - EZStore – Shop, Ship, Enjoy! With Luck Incense, an Amulet Coin, and a heap of four-leaf clovers. Pikachu is sure to have the luck of springtime in its favor! 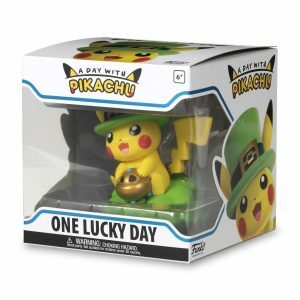 Catch a little luck of your own with the One Lucky Day Pikachu Figure by Funk. Country Of Origin: Made in Vietnam.